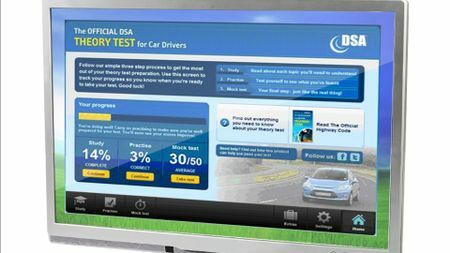 Here you’ll find everything you need to know about the driving theory test: how it works, what you can expect, what you must do, and tips to help you pass. It’s the first step on the road to gaining a full licence and qualifying to drive. All learner drivers must pass this before they can take the practical test. The theory test has two parts: a multiple choice test, and a hazard perception test, both of which are taken on the same day at a pre-booked test, and both of which must be passed. Anyone who wants to get their first full driving licence needs to pass the theory test, and you can only take the test if you have a provisional licence. The only exceptions are drivers who are upgrading from an automatic-only to a manual licence, and drivers who already have a B1 licence (for light vehicles). Also, you can take a shorter version of the multiple choice test – with 35 rather than 50 questions – if you have a ‘Safe Road User Award’. However, you still have to take the full hazard perception test. Everything can be done in about ten minutes online on the gov.uk website, and all you’ll need to supply are some personal details, including your driving licence number. 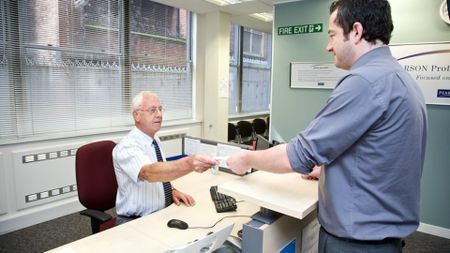 To book online, you need your provisional driving licence number, email address (for confirmation, and you can’t book online without one), and a debit or credit card. 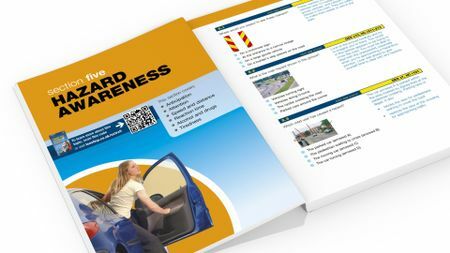 There are three sources for the questions – The Highway Code, the ‘Know your traffic signs’ booklet, and the relevant book from the Essential range from the Driver & Vehicle Standards Agency (DVSA) – so first of all, you should read and digest their contents. The DVSA reckons you should do at least 20 hours of revision to prepare for the test, which will include questions on everything from the rules of the road, to safety, driving behaviour and other road users. To help get ready for the test, you can take a practice test on the gov.uk website, as well as on countless other sites. Don’t underestimate how important it is to spend time out on the road, too, especially when it comes to revising for the hazard-perception test. You need to take photographic identification, preferably a photocard driving licence. If you have an old paper licence (with no photo), you need to take a passport, as no other form of ID is accepted. If you have neither a photocard licence nor a passport, you can’t take the test and need to either update to a photocard licence or get a passport. Remember, this is vital. If you don’t bring the right documents, you’ll lose your fee, and the test won’t happen. The tests take place in a room in an approved test centre, and you are not allowed to take any personal effects in with you. These must be stored in lockers while you take the test. The first part of the test is the multiple choice part. Before the test, you’ll receive an explanation of how it works, and you’ll also be given the chance to do a practice session before the real thing starts. 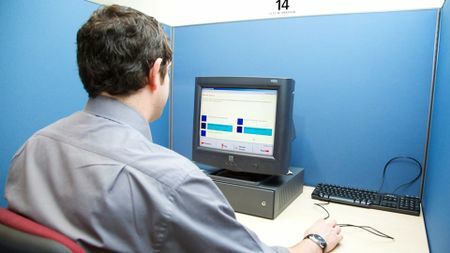 In the test, a question and several answers will appear on a computer screen. You have to select the correct answer (or in some cases, answers). You don’t have to answer the questions in order, and can flag questions you want to come back to later on. This part of the test lasts 57 minutes, and the pass mark is 43 out of 50. After this, you can take a break of up to three minutes before the hazard perception part starts. What about candidates with special needs? If you have reading difficulties, you can ask for a voiceover (in English or Welsh only) and more time to complete the test. You must send proof of your reading difficulty to the customer services in advance. If you have hearing difficulties, you can take the test in British Sign Language, which will run alongside the standard questions and answers. If you don’t use BSL, an interpreter can go with you into the test centre, but this needs to be arranged with the customer services section in advance. 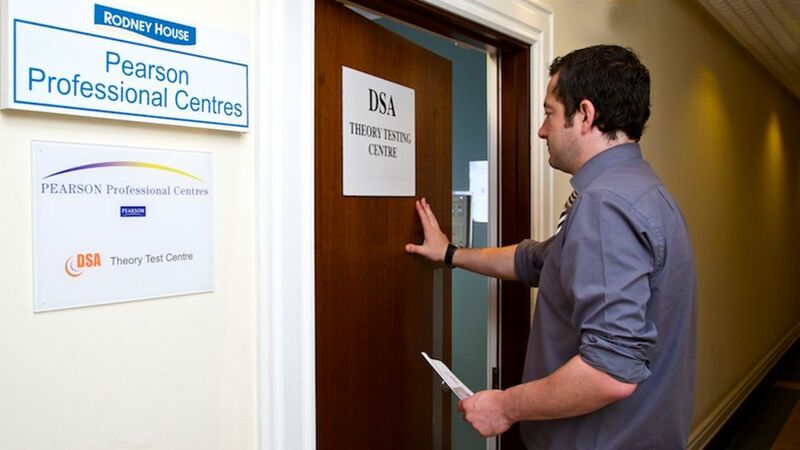 It is possible for a test centre to cater for other special needs, but you should contact the DVSA to discuss the circumstances before booking your test. You have to pass both parts of the test. If you fail one part, you fail the whole test and you will need to retake both parts. You have to wait three days to do so, but there’s no limit to the number of times you can retake the test. If you pass, you’ll get a certificate, which you’ll need when you book your practical test. This is valid for two years, but if you haven’t passed your practical test within that time, you’ll need to retake and pass your theory test.